EuroSafe Imaging is the European Society of Radiology’s flagship campaign to promote quality and safety in medical imaging. The mission of EuroSafe Imaging is to support and strengthen medical radiation protection across Europe following a holistic, inclusive approach. EuroSafe Imaging is pleased to hold this webinar on Diagnostic Reference Levels (DRLs) together with the IAEA Radiation Protection of Patients unit. Diagnostic reference Levels (DRLs) were introduced by the International Commission on Radiological Protection (ICRP) as a tool to help optimise medical imaging in diagnostic and interventional procedures. This webinar will introduce the general concept of DRLs and will thereafter focus on the concept of clinical DRLs which are based on clinical indications as the main determinants of patient radiation dose rather than the anatomical locations. Different image quality is needed for different clinical indications of the same anatomical area. Kidney stone evaluation, for instance, can be performed using lower radiation doses than those used in evaluation of appendicitis because detection of high-contrast structures is affected less by high image noise than low contrast structures. Clinical indications dictate the main parameters that affect patient dose from CT such as scanning length, collimation and number of phases. Therefore, DRLs should be specified for a given clinical indication. The European Commission tender project ‘European study on clinical diagnostic reference levels for X-ray medical imaging’ (EUCLID) will be briefly presented in the webinar. Also, the webinar will give an introduction to the concept of local DRLs, which are a useful tool for quality control and dose optimisation, in particular in case no national DRLs are available. Guy Frija is Professor Emeritus at Université Paris Descartes (FR), Professor at Mac Master University (CA), radiologist consultant at the Paris Georges Pompidou European Hospital (FR), and chair of EuroSafe Imaging, a multi-stakeholder and holistic approach of radiation protection based on the IAEA/WHO Bonn Call for Action, an initiative of the ESR. During his various positions in the European Society of Radiology (ESR), he also stimulated the setting up of a radiation protection committee. He was involved in the development of ESR’s clinical decision support system for improving the justification process. He has published more than 150 articles in peer review journals. John Damilakis is full professor and chairman at the Department of Medical Physics, Faculty of Medicine, University of Crete, and director of the Department of Medical Physics of the University Hospital of Heraklion, Crete, Greece. He is president of the EURAMED research platform, immediate past president of EFOMP, chairman of the International Organization for Medical Physics (IOMP) Education and Training Committee and a member of the Board of Directors of International Medical Physics Certification Board (IMPCB). Prof. Damilakis is either the coordinator or an active research member of several European and national projects. His publications have been focused on medical dosimetry and medical radiation protection. He has 194 publications in PubMed and an h-index of 32 (Scopus). John Damilakis has given more than 300 presentations in national and international conferences including ECR, RSNA, AAPM, IAEA, ICRP, IRPA, IOMP and EFOMP meetings. 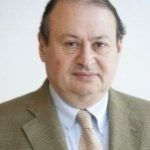 John Damilakis is the past president of the Hellenic Association of Medical Physicists, senior editor of BJR/Case Reports, section editor of European Radiology and editorial board member of several scientific journals. He has received several awards in recognition of his work in the field of medical physics.